With another week underway we have the UK chart results, which carry extra interest following the launch of Xenoblade Chronicles X, a title that has drawn critical acclaim and hype from enthusiasts but nevertheless has a tough task converting that into big sales. That's how it's turned out in the UK, at least - the Monolith Soft RPG has only managed to secure 28th place in the all-format charts, yet its launch sales are actually 73% higher than those of Xenoblade Chronicles on Wii. Though the Wii title arrived on a system with a huge install base it was also at a time of decline for the last-gen hardware; it's impressive that the Wii U entry has brought improved sales for the series. Xenoblade Chronicles X is actually third-best in terms of Wii U games, however. Mario Kart 8 continues to go well in 24th place with Splatoon close behind in 26th - sales of bundles containing both games are likely playing a part in that continued momentum. Super Mario Maker has re-entered the chart in 32nd place, while the only 3DS title in the top 40 is Animal Crossing: Happy Home Designer in 33rd. Mario & Luigi: Paper Jam Bros. is a notable absentee, launching the same day as Xenoblade Chronicles X. It seems that it wasn't even close to a top 40 place as it's only managed 5th place in the 3DS-only chart - it's behind titles such as New Super Mario Bros. 2 and Tomodachi Life in those results. Disappointing news for AlphaDream, and overall the charts still paint a picture of Nintendo struggling to have an impact on festive shopping in the UK. On the plus side Xenoblade Chronicles X has improved over its predecessor, which will hopefully combine with sales around the world to push the series forward into the next generation of Nintendo hardware. Can't say I'm surprised by Xenoblade X doing badly, it is a niche title and with the knowledge that the Smash Direct is in December some may choose to ditch that game in favour of Cloud and whatever other Smash DLC we get. @Grumblevolcano I don't follow that logic. A single fighting game DLC character trumps an entire JRPG? It's enough to say it's a niche title. Normies see robots on the cover and think, "this is already too Japanese for me." @whodatninja It's almost certainly not going to be just Cloud, Chocobo Mii costume and Midgar, there's going to be more. My logic is the DLC pack being similar if not more in terms of price compared to June so if lets say the DLC is £35 and you had £65 available to spend you'd have to choose between XCX and the Smash DLC. I'm still planning on buying it but my kids are priority on my wallet this time of year. Either I will get it as a gift or in New year, but I'm definitely getting this title. I wad curious why some people thought it would preform incredibly well (overall I mean) though with the Wii U's modest sales, that 70+% increase is quite incredible in its own right. I'm interested to see how well it does in NA. For Paper Jam though, yikes... Just yikes... I feel bad for them, I'm sure it's a solid game. Didn't even Bayo 2 break top ten in the UK? Launching similiar time of year? Really, REALLY suprised by how poorly XCX has done, and even more so, Paper Jam. Very sad for Mario & Luigi: Paper Jam. Did Nintendo EU advertise the game enough? Are they as bad at advertising as NOA? It's sad, because I watched some of the European version, and it looked like a great game. Ah well, hopefully it'll sell well in Japan and NA. Good to see Xenoblade X doing okay. That game would've made for a killer NX launch title, though. Hell knows what these charts even mean at the best of times. I suspect Xenoblade Chronicles X has done neither as bad as 28th in the chart sounds like, nor as well as it deserves to. XCX and what? And Splatoon (6 months old)? And MK8 (18 months old)? And Smash (12 months old)? The problem is, it's a niche game on a niche system. Oh, and it's not FIFA. I think that it's done pretty well to sell over what Xenoblade Chronicles did week 1. People are crazy if they ever thought this was going to be a blockbuster. It's a niche game within a niche genre. Does it deserve better? Yes, but this is a good performance for a JRPG. It's why a lot of us have been saying Nintendo have no 'big' games this Christmas despite the release of XCX. It's Mario and Luigi that is the real flop here. Any new release should be hitting the top 40 on it's debut week, even without having a name like Mario attached to it. I fear the stink of Sticker Star and Dream Team Bros has effected that game. Most consumers don't check reviews out before buying, so you only see the true effect of a poor game when the follow up fails to sell. A shame as it sounds like this one is much better than either of those. @Mogster Bayonetta 2 was 7th. Wii's Xenoblade was a slow burner. It didn't sell much at launch, but good word of mouth spurred it to continuing and long-lasting sales. In Japan, XBX has fallen far from Xenoblade's total sales even though launch week performance was similar. @BluStreak which in turn would have made a killer Christmas 2015 for Nintendo. Something complete had to take on the burden...but there is still hope, recall Capcom released Monster Hunter Tri Ultimate to add JRPG to the early Wii U library - a 1080p polished version of Xenoblade could be likely at launch. O large deal of XCX sales in Japan came from digital version for precise reasons (the director told it was the best way to enjoy XCX). It is very possible that the same happened all around the world, as many people following this game were aware of Monolith soft annoucements. I recall the game doing good but not great in Japan (physical version) but then Nintendo released the eshop sales of the month and bang, XCX was in the top. @BluStreak I disagree, the only JRPG that likely would've made a killer NX launch would be the FFVII remake. Impressive considering the next to non-existant installbase of the WiiU vs the Wii. The timing of XCX's release is probably better, but on the other hand, the WiiU is also a system on it's last legs, so to speak, with the NX looming large for 2016, and I also guess plenty of people have either mothballed their system by now, or sold it off, just as with the Wii when Xenoblade launched. 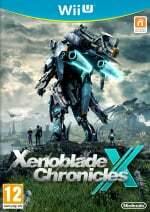 I think a more deciding factor is probably the fact that "Xeno" is now well known to Nintendo fans, something which was not necessarily true before Xenoblade Chronicles, and that XCX was properly marketed right away - a glaring difference compared to Chronicles back in the day, with Nintendo basically refusing not only to market the game, but to even release it, for quite some time (and if I recall correctly in very limited supply once they did, without any option for a digital purchase!). Anyways, despite all that, these statistics make it sound like quite the successful niche title on a niche system, and now I hope Monolith can take well deservered "Xeno"-break and get back to Baten Kaitos for a least one game - NX game + HD compilation please! Anyway, I'm honestly not too surprised about this. Unfortunately here in the UK, I went to a GAME store in Stratford and saw NO SIGN OF XENOBLADE CHRONICLES X! Which I was shocked about considering how significant the Nintendo section was there. Maybe I'm missing the point - it was fairly crowded then. I suppose it IS possible for them to have completely sold out by the time I got there. But then why wasn't there an advertisement in sight if that was the case? Still, glad it's doing better than its predecessor. I would like for Monolith Soft to see this go somewhere considering how engaging the game actually is. I wasn't even sure I'd like the battle system but its quickly changed my opinion. It deserves at least some attention in the UK. @Grumblevolcano sorry to say but your logic smells pretty gnarly. even if all the DLC costs that much you assume that the reason people aren't picking up X is because of Smash and lack of funds, thats a pretty niche group in itself. So no, its doubtful, and more likely that Nintendo marketed X poorly. I'm starting to think most of Europe just has a poor taste in games. Well it's the UK. XCX will most likely have done better in italy, spain, maybe germany. Still: considering what kind of game it is, the platform and nintendos marketing it'll do fairly well and hopefully well enough so Monolith can make the next game. Xenoblade Chronicles X outselling its predecessor that was released on a console with pretty much a 10x install base is still good news, I think. It's Paper Jam that is sad news, although honestly I think it was always presented as a game with no new original characters, settings and story and with as little references to the Paper Mario and Mario & Luigi series as possible, so it was expected that people wouldn't see it as a good game to play or even support, even though developers at AlphaDream really appear to have done a great job at working around these limitations. I normally don't talk about other regions but what is up with the UK? I plan on getting this game for Christmas myself. Not just to support Monolith and Nintendo ut the fact that it actually looks like a great game! Do they care more about shooters or something? I don't really understand what keeps them from buying obvious classics! Not surprising. It looks great but I like a lot of other adults may be put off by the fact that you have to put so much time into the game. I just don't have that time. It coming after most people have purchased Fallout etc, means it is probably down the list a bit. Glad to see Nintendo has at least one decent game this holiday though and that those whom own the console are supporting it to the best of their ability. Not surprised but I´m a happy owner of a Limited Edition. Hopefully the news will get around about Minecraft and we see a boost in sales for both consoles and games within the next 2 weeks as well as the usual Xmas rush. @sandman89 Based on what? No preload and its price (£50) are enough to scare people away frankly. @AlternateButtons "most of Europe"? Europe has around 740 million people of which around 70 million live in the UK. Speaking of which shame the German and French charts are not so widely reported. The French charts are always a week behind and the German ones ones out late in the week. Nintendo tend to fare better in both. @Angelic_Lapras_King I doubt it'll matter now. I feel lack of minecraft was used as an excuse and now it easy to once again move the goalposts as follows: Why would anyone buy Wii U that has a similar cost to a Ps4 or Xbox one because it has a more expensive, download-only version of Minecraft (the retail version is a big part of the console success) which is also on PS4 and Xbox one? Off-TV play is my only thought and even that seems like a niche with tablets now in the mainstream. Contributed to these sales but yet to enjoy it as my Nintendo Store order has yet to arrive. Plus I got to work late today! Actually seems there may have been a screw up in deliveries to my entire region; my local indie store have yet to receive their copies too. At least it gave me the weekend to reallocate 700GB worth of data from one hard drive to set it up for mu Wii U. Until I discovered it uses a firewire connection and I now need to find the adaptor that came with it. After 3-4 years of waiting (when was this title first announced again?) it seems everything's tryinb to keep me from it. So basically, instead of selling 100 copies like the original did, XCX sold 173 copies. Great marketing Nintendo! @Marshi Not really, I've a Wii U and JRPGs are my favorite genre, but I just can't stand Xenoblade combat system due to the auto-attacks. There is a reason why the game also sold poorly in Japan, it's an JRPG that is niche even among JRPG fans. Xenoblade does deserve better than this, not that I'm surprised. It's like the best game on the wiiU, period. It's a ton of fun and offers MASSIVE bang for your buck. But it's not mario so it never had a chance. That doesn't include digital sales as well. So hopefully it's even higher. Still a bit disappointing though, would've liked it to be in the top 5. Please believe an Ultimate Edition is in the works for NX as we speak with 1080p 60fps visuals. You can take this prediction comment to the bank and cash it. It could be that both Xenoblade. X and Paper Jam are Christmas presents and have not been purchased yet. On the other hand Paper Jam got quite modest reviews from some reviewers branding it the worst in the series. Xenoblade got a very reasonable score from most reviewers, but the reviews included a lot of negatives, which could make gamers think twice. @zool one thing I do hope is that the low chart position is because they didn't ship enough copies. I know in america at least we have the whole special edition selling out in a couple hours on amazon, and gamestop sold out of the game itself in several locations that I've heard of. @Yorumi in the UK 'out of stock' usually means the store did not order in enough copies. This happens a lot with Nintendo games. They are no longer sure what sells and they don't want to be stuck with the games. @zool typically that's true in america as well. However, it's always possible nintendo didn't print enough copies. I know some gamestops only sold pre-orders and didn't get a single shelf copy. Granted the wiiU is struggling but it's a little hard to believe they didn't order anything more than pre-orders. Given how much nintendo was downplaying things with the marketing and all that "everyone already knows about it so we don't need to market" etc, I wouldn't be surprised if they undershipped the game. I knew it wasn't going to be huge, but damn this game is good. Played only an hour as I'm going through the manual (got my copy yesterday after a 12 hour day) and yes there's so much to take in. I'd much rather learn as I go along, but I'll persevere. Basically, I'm not much further than going past those sleeping beasts I chose not to combat, ie, I've barely gone anywhere! It wasn't marketed, the "anyone who likes this genre will know its out" approach was really arrogant. With little else to push you'd think they'd go with a game that's genuinely getting critical praise across the board. The comparison to Wii week one sales is something though. @GLA you'll eventually get it and things will come to you. Biggest tip is really explore the menu and understand what's all there. There are a LOT of things that can be upgraded, customized, adjusted, etc. You don't have to get it all right away, it will come with time just basically keep on the lookout for stuff. Most important things to learn are how to properly use soul voice for heals and the upgrade system for arts and skills. The Wii U is beyond being on it's arse and it has hit rock bottom a lot quicker than Wii did. to actually SUPPORT the release of a console, even if Nintendo have to take a hit on the royalties, they need to secure actual third party support or the mass of general consumers will by pass it, the bread and butter titles have to be on your available library shelf or you are on the back foot before you have started. They also need BIG first party titles on launch day. and one other big player like F-Zero or Mariokart 9. Retro Studios game turning out to be an NX launch title would also be the bets way forward. @Rhydas I went into the GAME stores in hull near my work to have a look at the box art and drool a little( I get mine for Xmas!) and couldn't see it anywhere. I asked the staff, who had never heard of the game, and upon looking it up on their computers told me......'"none here mate, must be online only or something!?!" The bottom line: if the staff in the biggest computer game retailer in the UK need to look up what the game is.... Nintendo have failed miserably, once again, to make the market aware of another major game release on their platform. I have seen no ads on tv, busses, posters, magazines or gaming stores. I work in a city centre 5 days a week so this REALLY is pathetic. Why would any developer want Nintendo to distribute their software ever again(excluding $) when the major exclusive games(bayonetta/Lego city/w101) have been rewarded with such horrendous support on release despite being solid games!?! It's been out for 3 days, and like everyone has said, niche market. What do these people expect. Give it time and it'll sell. @Starwolf_UK I've heard many retail staff say its one of the most asked questions asked when customers ask them about Wii U.
I got this a day late physical copy but happy it's arrived now and I think will sale well in all regions. Great news and goes to show how desperate Wii U owners are for some decent games! My wife is absolutely in love with it, she says she may even love it more than the one on Wii when she finishes it. That really shocked me given how much she loved that game, but so far she hasn't stopped playing. From what I've seen of it, it is absolutely stunning to look at. Simply, the most beautiful thing I've seen on the Wii U by a long shot. Great game! Best game ive played on Wii-U yet. Im not ready to call it my favorite RPG of all time. Right now my favorite RPG of all time is Xenoblade Chronicles. Has anyone played online? How is that? @MoonKnight7 I get so lost just looking at the world that I forget to do quests, lol. @Windy online is interesting. Basically you're still playing solo and it will give you tasks to kill monsters, gather items etc. Everyone is your squad(32 people) has those tasks and everyone's contribution counts. When you clear one of those squad missions become available in the barracks. These are kind of drop in drop out stuff. You're tasked with destroying some enemy and you recruit 3 other people from your squad, forming a team of 4 actual players. You're then taken to the mission and it's a ton of fun. There's also a global nemesis that is high level. You form teams for it like the squad missions but in this case he has a ton of health and all the teams across the whole squad are doing whatever damage they can to it, and essentially all progress is tracked across all teams. I don't have much experience with those, they're way to high for me and most players right now. One last thing you can do is send reports which is basically like a 70character or so message to the squad so it provides a form of chat. It's unrestricted as far as content beyond the character limit. Xenoblade Chronicles on Wii was one of those titles that went under the radar of a lot of people, unless you're really into RPGs of course. Then again, I can't imagine many people picking up X unless they're really into RPGs. I guess the reputation of the original has boosted interest in this one hugely. profits (World Store releases don't count). The UK almost feels like a lost cause. Haha, I don't doubt that. A ton of people are getting it digital. So probably we will see good sales when combined with digital. I'm glad they're considering it to be a AA game. Hopefully that means they kept the budget limited enough to at least make a profit. Xenoblade Chronicles X is the best JRPG game I have ever played — and I am a huge fan of Final Fantasy. Really, the only Final Fantasy games that could come close are Final Fantasy VII and Final Fantasy X, but even those are not as good as this new Xenoblade. Aren't most people buying it digital for the data packs? I would assume that we are going to have to wait for digital numbers on this one. Too early to tell how it is selling. Frankly, I didn't buy it, because it just doesn't interest me. The whole concept of it is ridiculous - gigantic robot "gods" are fighting in the middle of an ocean, and then, they both just stop. Oh, and WAIT! There are people living inside of and on top of the immobile gigantic robot gods. Just not my thing, I guess. Even as someone who works in a video game retailer, there was very little information about the title provided to us (either through Monolith Soft or corporate information) so that we could sell it to customers who might be interested. Just like with the Wii U, the title leads people to believe that is, in fact, yet another port of Xenoblade Chronicles (like the one for the 3DS), without mentioning that it's an entirely new story with new characters. 27 hours in... this game is brilliant. @mjhopkins81 this game has nothing to do with the wii version. It's not a sequel or anything, it's it's own independent game. This one is pretty much a sci-fi rpg about exploring/surviving on a new planet after a crash landing. A niche JRPG on a slow-selling platform launched at the busiest time of the year for games releases with no advertising or in-store promotion? TBH I was expecting it to be lower in the charts. @Yorumi See, that's something that would've been nice to know! In fact, maybe some type of advertising, press releases, or marketing might've helped sell the game. I'd be interested to see how poorly it sold in the U.S.
@mjhopkins81 that's what most of us have been lamenting for a while now. Nintendo won't market anything that's not mario, and even then they only put it on cartoon network. Many people I know who are gamers didn't even know the game existed, no wonder nintendo can't sell wiiU's. @Grumblevolcano No. That game would have to be exclusive for that to work. JRPGs aren't popular anymore outside of Final Fantasy in the Anglo-American markets. Though to be fair, the chart doesn't include digital downloads. Though no amount of marketing would have made significant difference here, since you are dealing with an open world JRPG + Nintendo's image/stigma which is probably holding back sales. If the previous game sales are of any indication of this game, the NA versions should easily outsell the European and Japanese versions combined. I'm really keen to play XCX, but a couple of things are putting me off. 1. I play Wii U mostly on the Game Pad screen, apparently the text is hard to read even on big screen (I had this issue with MH3U). 2. It's such a big game, and I only have a few hours a week to play games. Apparently the game doesn't hand-hold you at all. I don't think I would ever get to grips with what's going on. I think I'm better off sticking to the more arcade type games. I'm super pumped for Fast Neo Racing! @Curlynob the text is half and half, subtitles are fine and a lot of crutial info is easy to read but a lot oft the menus and things are TINY. It doesn't hand hold but at the same time it's not as hard to figure out as some reviews make it seem. This is especially true with information filling up wikis and forums and such. You can save absolutely anywhere so that helps. Only you can decide for yourself though. @mjhopkins81 Your opinion is irrelevant. Why is it irrelevant? Because you just said you dislike the game because you thought the story of the first game was stupid. 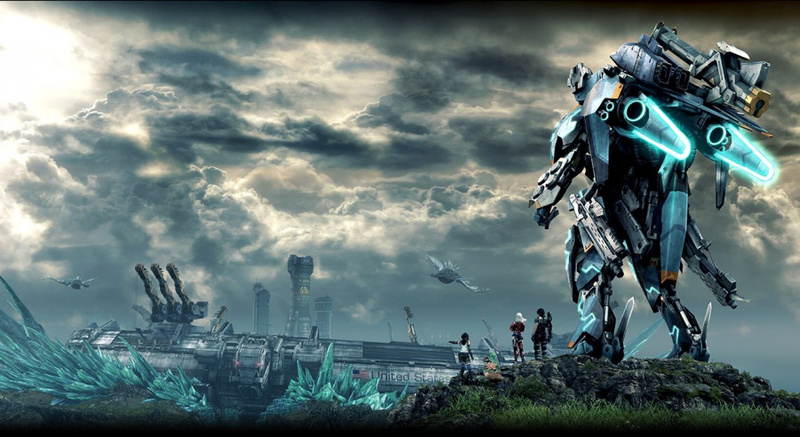 The story of Xenoblade Chronicles and Xenoblade Chronicles X are totally different. You may as well say "I dislike Final Fantasy X because gunblades and flying schools are stupid". You'd think we'd be used to seeing our favourite nintendo games selling poorly, but it doesn't matter how bad or generic a ps4/xb1 new release is, millions flock to buy them. I've grown to accept that nintendo will always struggle, but I'll always support them. It's too specialised and niche for the UK market - FIFA and mainstream kill people fodder rule the roost here. Yet another instant classic added to Wii U's library - it's crazy how many extremely high-quality games the system has, really. Especially compared to the bug-ridden 'AAA' titles on rival systems. Loving this game. It's fantastic! It's very complex but at the same time, not nearly as hard as people made it seem. Most of it is just trivial optional micromanagement. This game looks fantastic but who is going to buy it outside of adult gamers? As a holiday release, it can't be attractive to parents or children. Mario Tennis is terrible in comparison but I wouldn't be surprised if it sells more than XCX by the end of the holiday season. Nintendo is a mess this year. Hopefully they will be relevant in 2016. @Yorumi Thanks for taking the time to comment. I keep looking at that cover art and thinking, "that looks gorgeous, I want a part of that!" I think I will pick up a copy, but I'll probably struggle with it - at least to begin with! Just got into NLA, yup it feels pretty special. Was under the impression I had to get inside asap, so wish I had took on more battles, but at the same time it made me consider the environment and approach with more care. My next non-working day is basically going to be a XCX day. It's a truly epic and enormous adventure, every WiiU owner should go out and buy a copy. Or two. That doesn't sound so surprising BUT it is definitely an amazing game that deserves more purchases! Sure the game is a X (Cross) between JRPGs and MMORPGs making it pretty niche game, but it is a gem nonetheless. A huge awesome polished gem. Started the game 2 days ago after much trouble with the download process and the game is absolutely amazing. It took the aspects of the original Xenoblade and expanded so much on it! The seamless overworld, Xenoblade combat (which I personally love), tons of missions, amazing music excellent graphics (for the Wii U) and tons of sci-fi x mech x fantasy charm. It is THE sci-fi game that I always dreamed of. I can't stop playing, family is starting to get annoyed with me. (TV is not a problem since off TV! play). Wow, I was seriously expecting this to at least crack the UK's top ten in its first week. O_o Now I'm interested to see how this does in the NPD results over here in North America. It's not all that surprising that its launch sales have so easily surpassed its predecessor. "Xenoblade Chronicles" was an unproven new IP that barely managed a Western release late in the Wii's life cycle. This sequel has the success of the first game to back it up and give it more pre-launch hype where many fans of the first game are willing to go out and get it at launch. However, the question remains as to whether or not it can surpass its predecessor in overall sales. @Tao It's a good thing that somebody asked you what you thought of my opinion. Thanks for chiming in with your trolling! Have to say I hated the previous alpha dream Mario and Luigi title... I won't go anywhere near this. A lot of people will be buying XCX digitally... Be an interesting poll for this site. @Rhydas I went into my local Game on Friday with my friend from work and there was no sign of XCX at all either. No shelf space, no display material, nothing. Which was a massive disappointment because I've been championing the game for her to buy her kid for Christmas for a while now. Looks like that's a sale lost right there. @mjhopkins81 How is it trolling for saying your reasoning behind disliking Xenoblade X are factually wrong? You said you dislike it because the whole Bionis/Mechonis thing was stupid, which is the story of the first game, not X. Your reasoning for disliking X is objectively inaccurate. That's not trolling, that's just me pointing out that you're forming an opinion on a game based on inaccurate information. Easily the Wii U best game out there. Metal Gear Solid 5 was my GoTY 2015 for a while even if the game was a little dissapointing I still liled it. But I think that after playing Xenoblade X for 30+ hours I can easily say that this game might be my GoTY 2015. And Monolith Soft has done it again every Xeno game had been amazing and so is XCX. The reason why XCX is selling more than Xenoblade on the Wii is because Nintendo made more XCX copies than Xenoblade. My top 5 Wii U games.